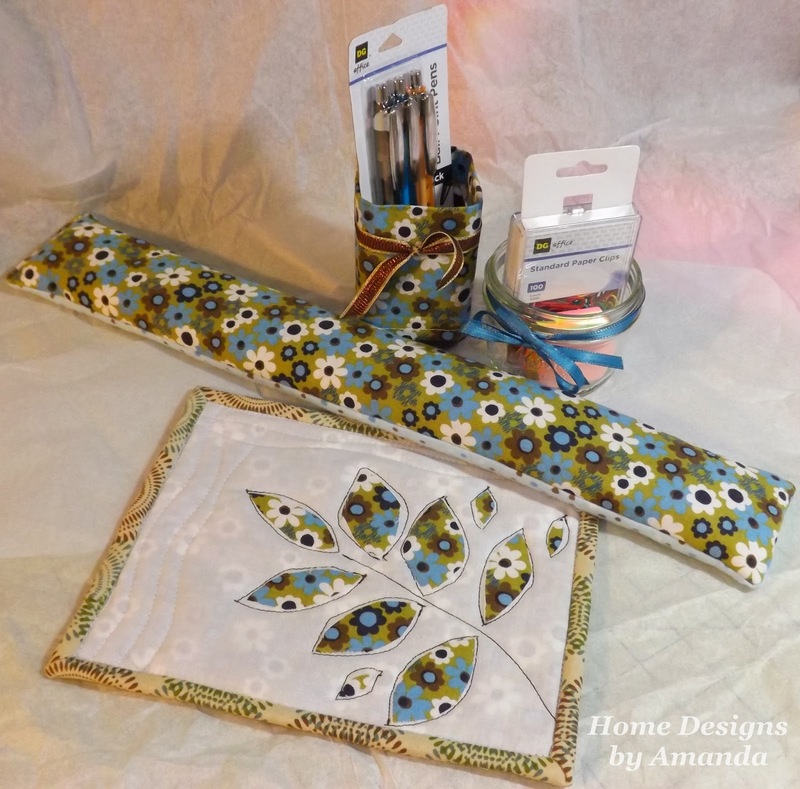 Last week I made this desk accessory set for a family member's birthday... I had to make them on my old Jenome machine as my newer, fancier :) Singer was in the shop getting fixed. I got the Singer back yesterday...so I hope to be able to see how it is running some time today! But the Jenome did a great job filling in! "A little that a righteous hath is better than the riches of many wicked." 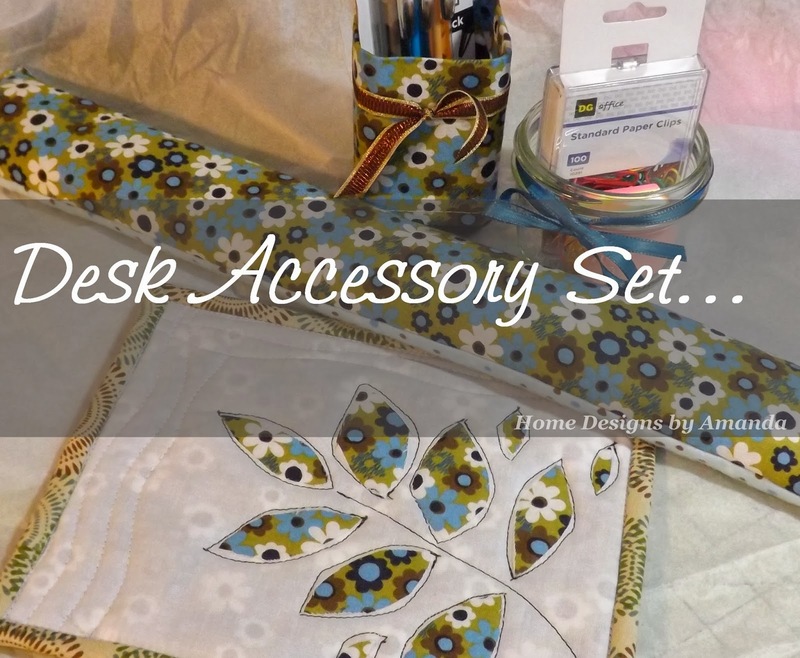 That is a lovely desk set, and yes anyone who has to work a lot would love something pretty to look at.